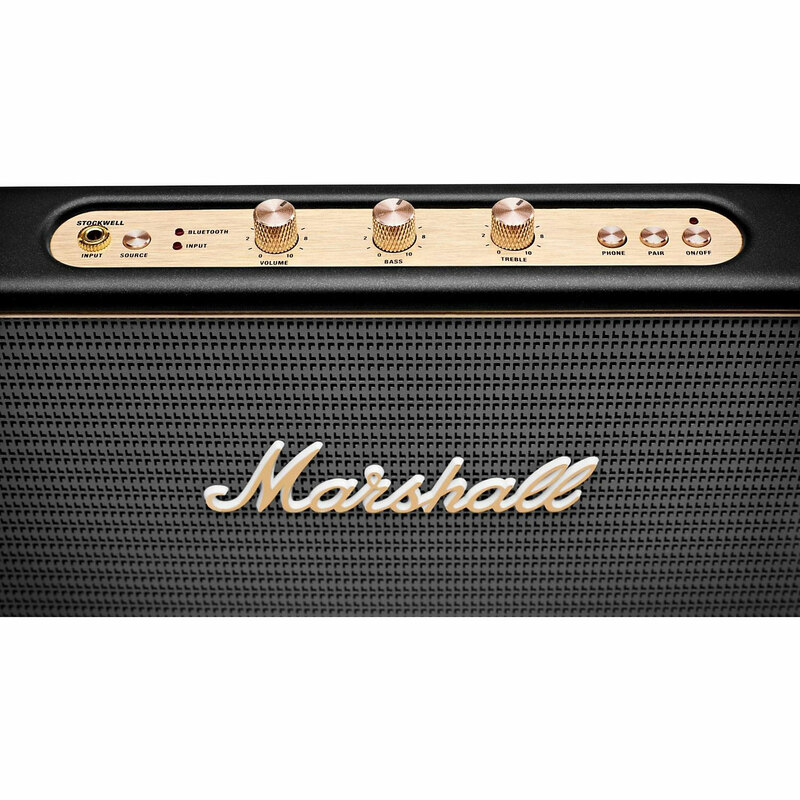 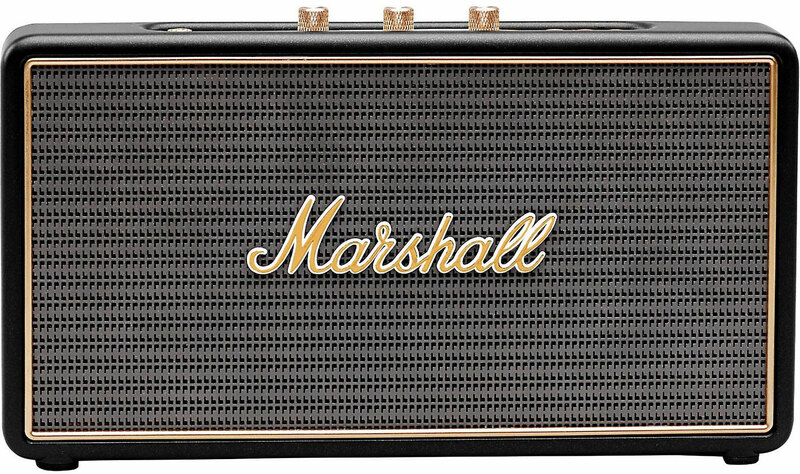 When it comes to rock ‘n’ roll music gear, it doesn’t get more iconic than Marshall guitar amplifiers. 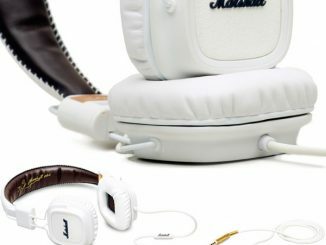 In fact, Jim Marshall created the company after guitarists, including Pete Townshend, visited his drum shop and complained that the available amps lacked the punch and volume they wanted. Does this sound like the issue you’ve had with portable Bluetooth speakers? 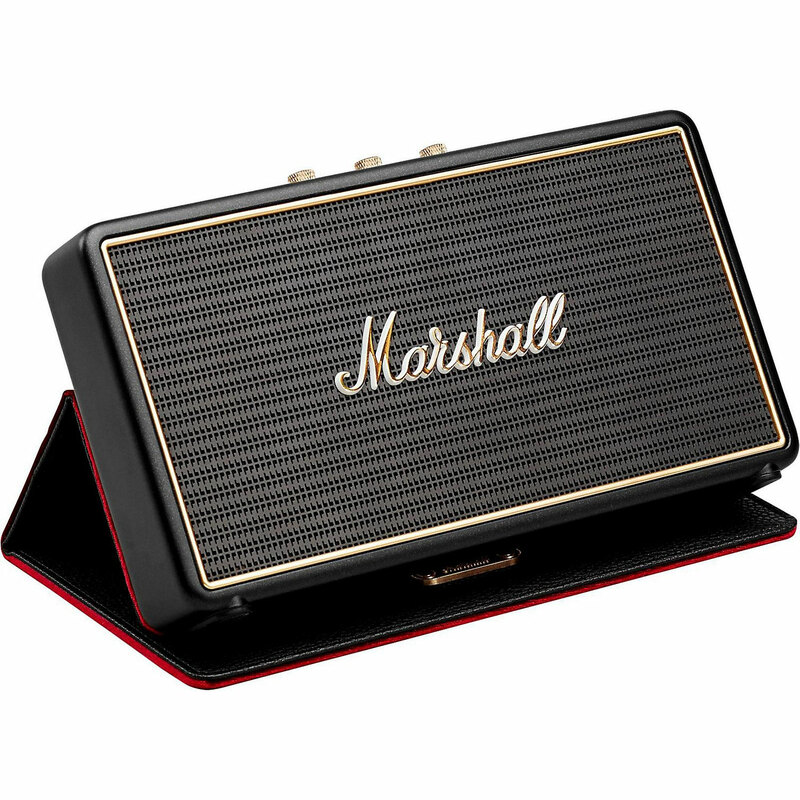 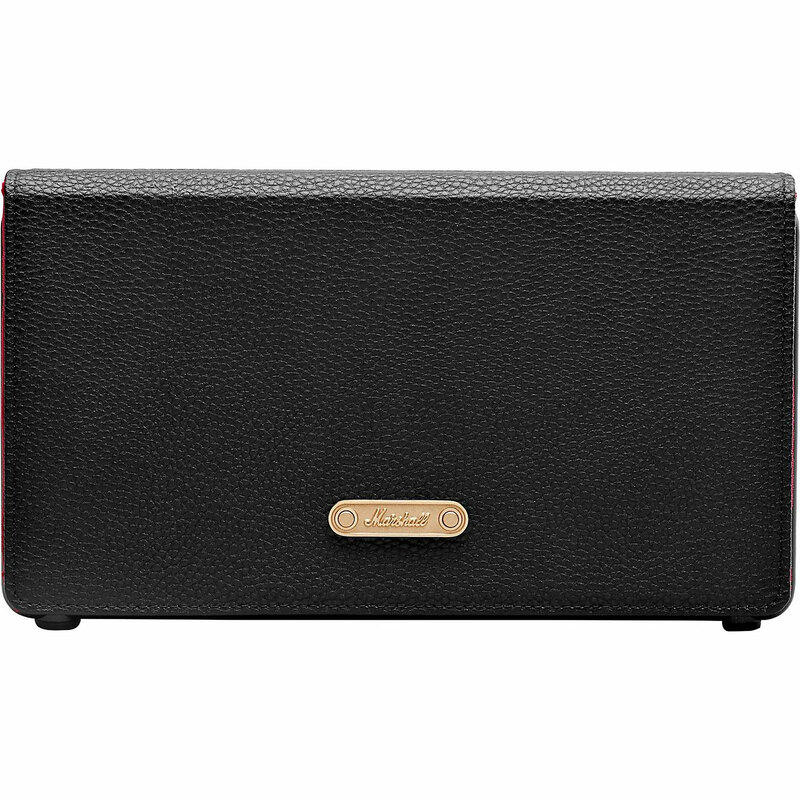 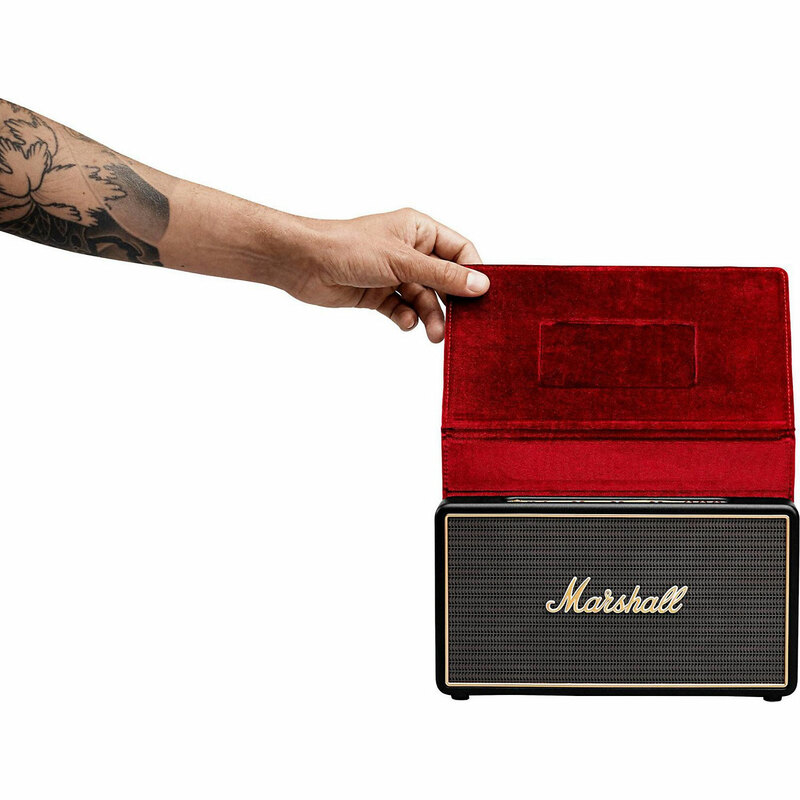 If so, this Marshall Stockwell Portable Bluetooth Speaker is one way to take your music with you, while maintaining your rock ‘n’ roll style. 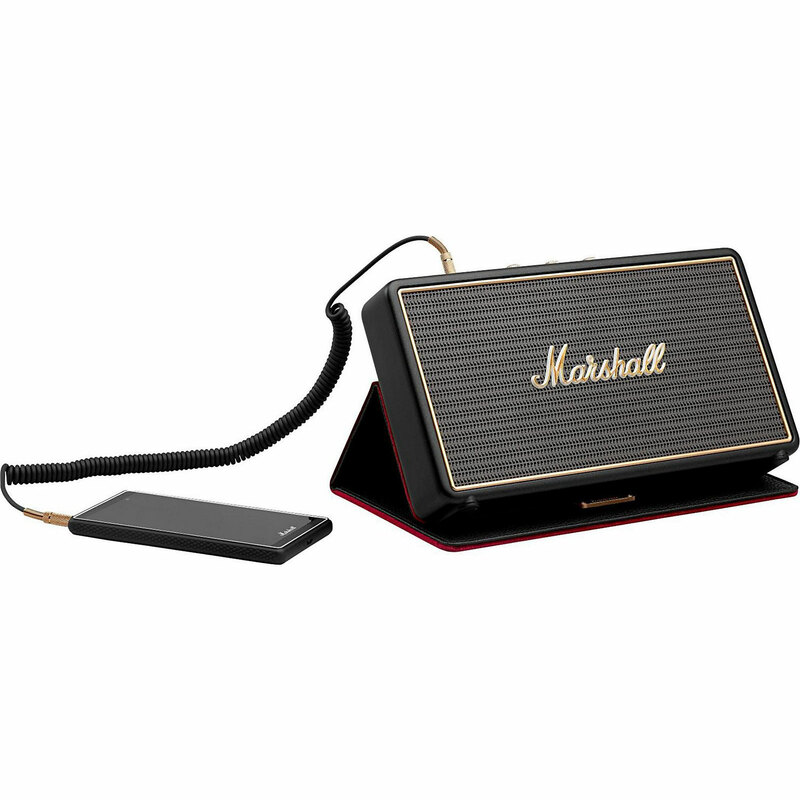 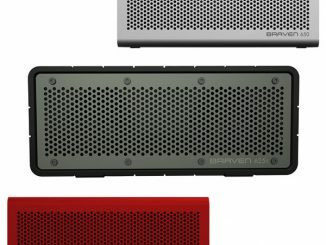 The Marshall Stockwell portable Bluetooth speaker features a Class D amplifier with two woofers to deliver rocking sound with solid bass. 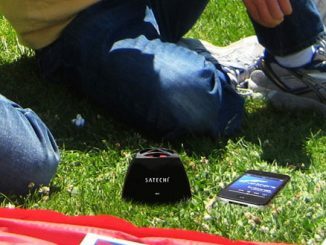 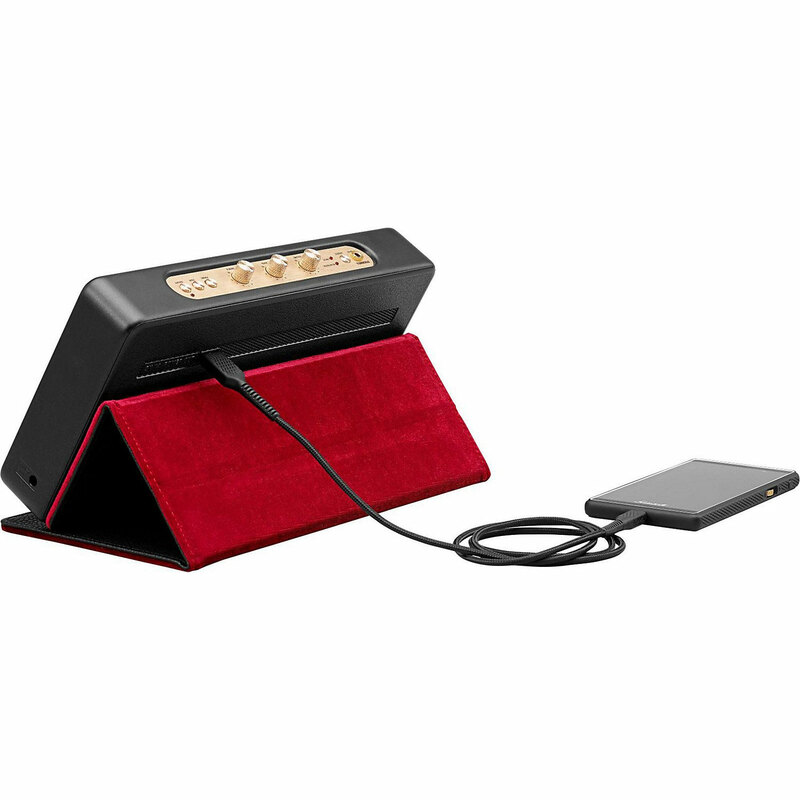 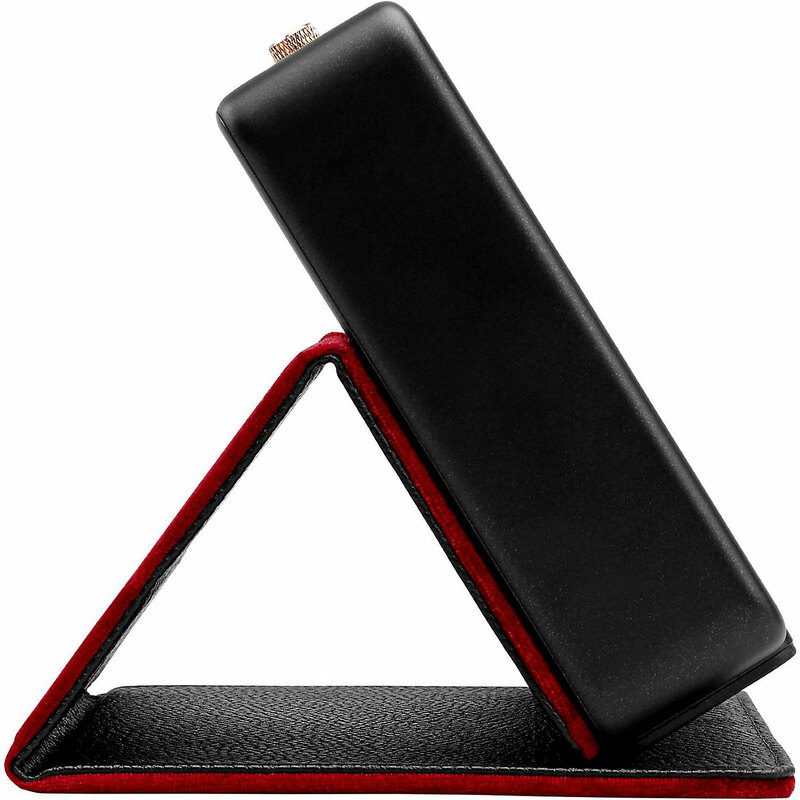 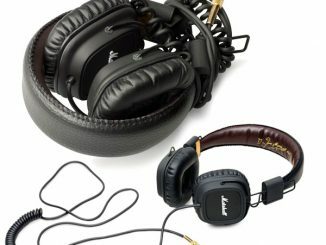 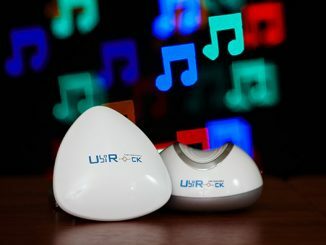 It features Bluetooth 4.0 as well as an auxiliary input jack, so you can play music on it from most audio devices. 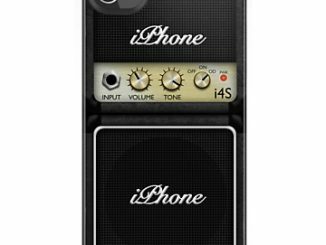 It even has control and a built-in microphone so you can use it for hands-free calls. 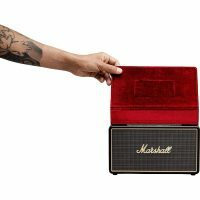 If Marshall guitar amps can survive raucous rock shows night after night, they should know a thing or two about durability. 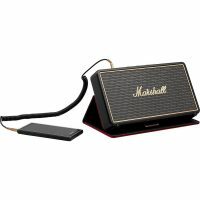 This Marshall Stockwell portable speaker is indeed built for life on the rough and features a multi-functional flip clover that can protect it during transport as well as providing a support base to angle the speaker during playback. The Stockwell packs a sonic punch, with two 2.25” woofers and a two-channel Class D amplifier, making it one of the loudest speakers in its class. 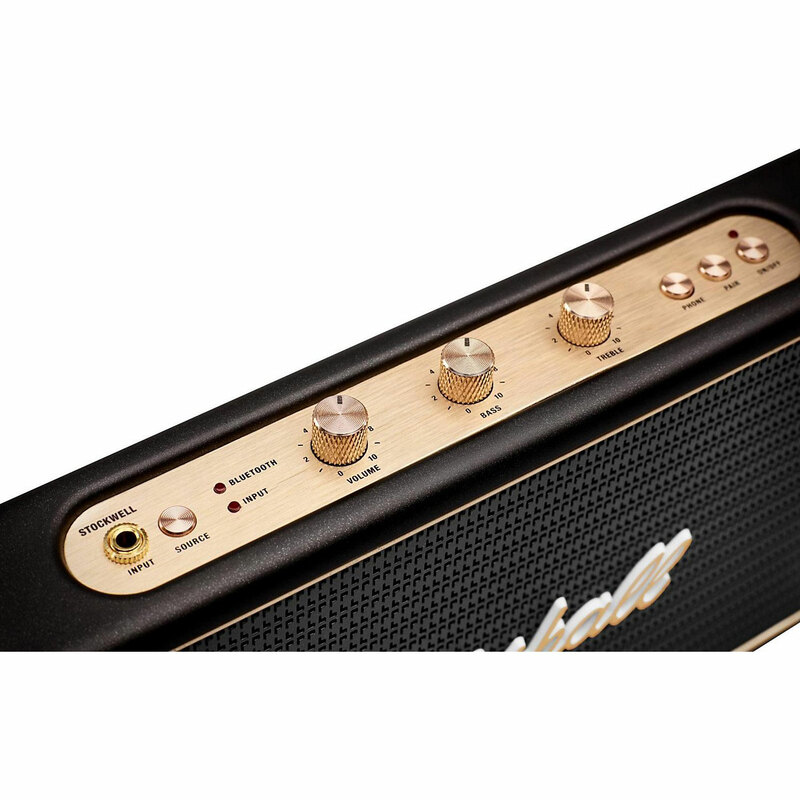 Volume, bass and treble can be adjusted quickly and easily with the retractable analog control knobs located at the top of the speaker. 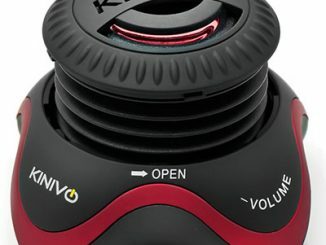 Using the Stockwell to receive and end phone calls is a breeze, just tap the phone button on the control panel to answer, or tap it again to end a call. 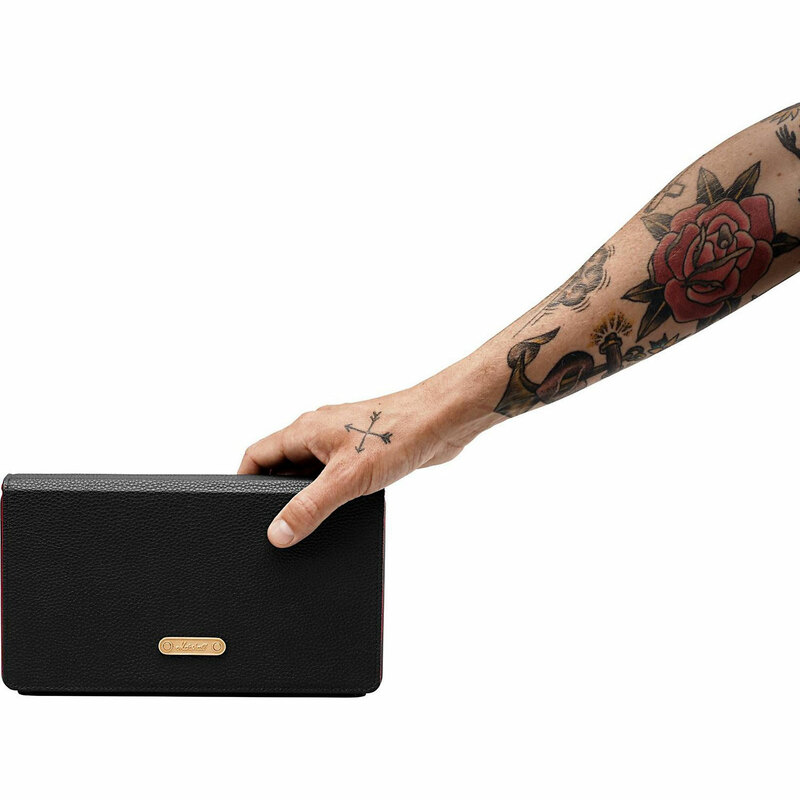 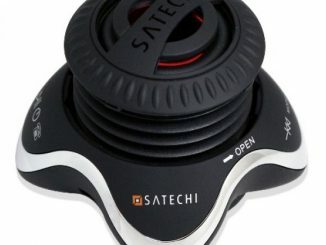 Bluetooth 4.0 technology and a 3.5mm input means connecting your listening device is super easy. 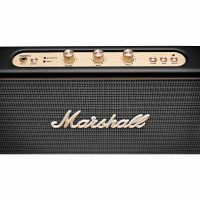 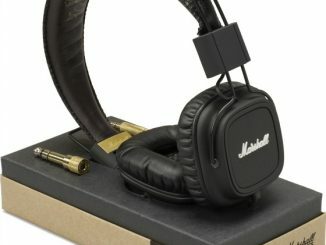 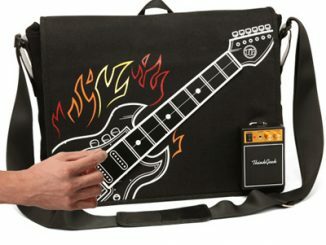 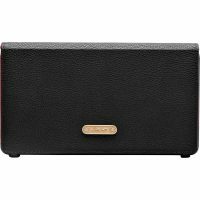 This Marshall Stockwell Portable Bluetooth Speaker is sold at Guitar Center, where it is currently on sale for $169.97 with free shipping, a discount of $30 off the list price of $199.99. However, the real deal is a Best Buy, where today (January 22, 2019) it is on sale for 50% off, making it just $99.99 with free shipping.